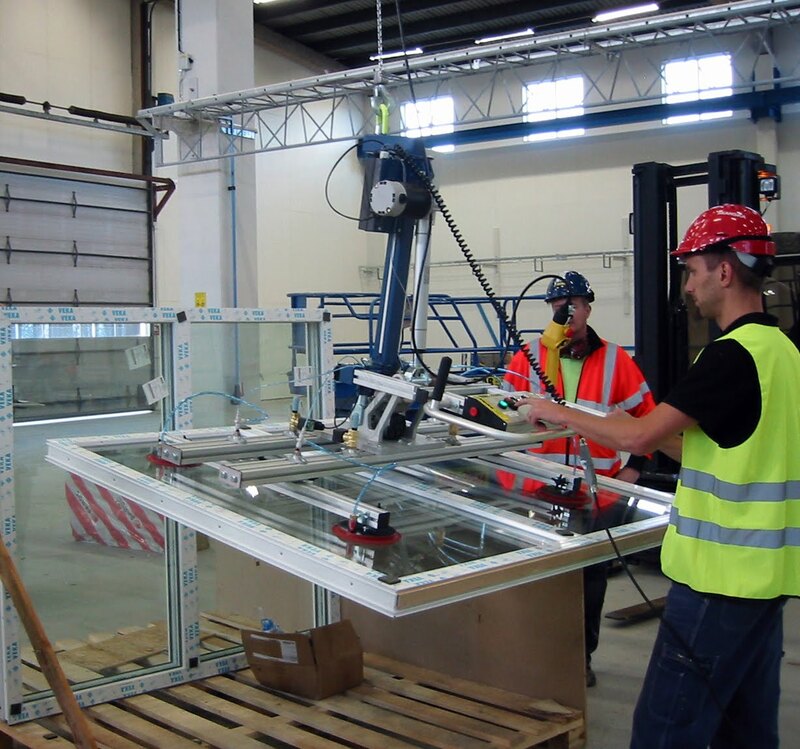 Lifting for example large glass sheets and windows is both easy and safe with our ergonomic lifting solutions. With TAWIGrip vacuum gripper large glass sheets, plexiglas and windows can be handled in a ergonomic and safe way. The vacuum gripper is equipped with a safe two-handed release function and visual control of the vacuum level. This makes it an ideal choice for lifting windows and sheets of glass in for example the construction industry. 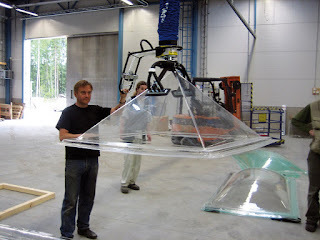 Our vacuum lifters, VacuEasylift and VacuCobra, can also be used to handle glass in various forms. 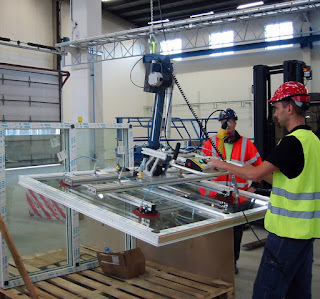 The tool used for lifting the glass is adjusted depending on the structure of the surface as well as the size, shape and weight of the glass. Windshields, glass sheets and different kinds of ceiling windows are only a few examples of the sort of goods that you can handle with our ergonomic vacuum lifters.